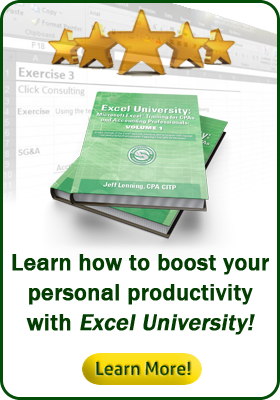 Here is a list of our most popular Excel University courses. You can use the catalog links on the right to narrow down this list or view other courses. Click a course link below to learn more and obtain additional detail.